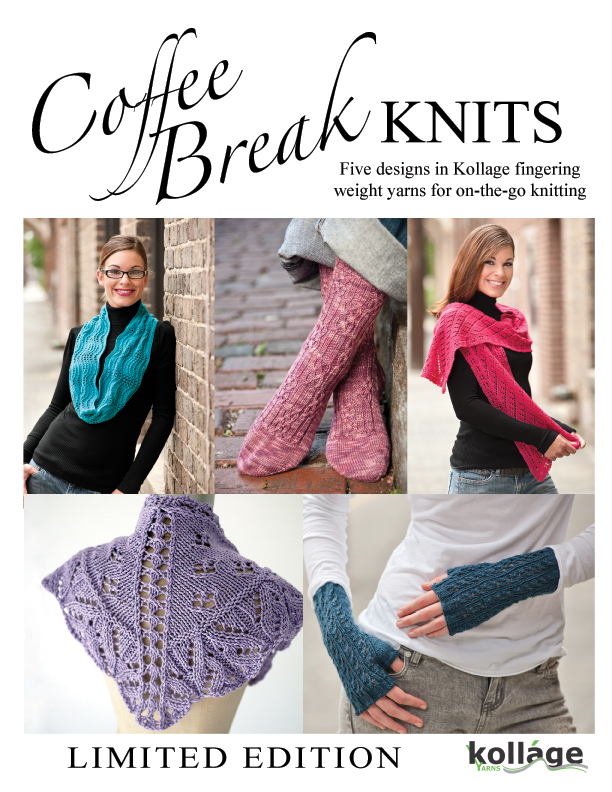 On Monday, I posted about being a part of a booklet signing for Kollage yarns at Sock Summit! Come see me in the Paradise Fibers booth on Saturday, 7/30 from 12-1:30pm (still pinching myself that I get to do this. Feeling so lucky and thankful!). I would love to meet some of my blog readers/Ravelry buddies! My pattern in the booklet is River Run. 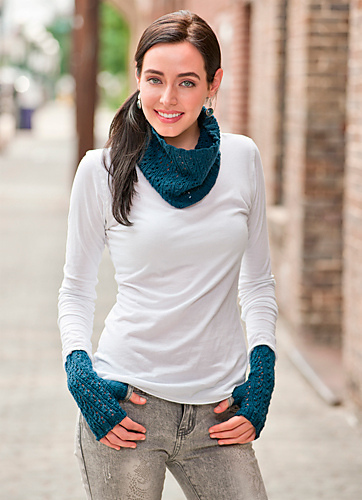 It's the blue fingerless mitts you see in the bottom right corner of the booklet cover! 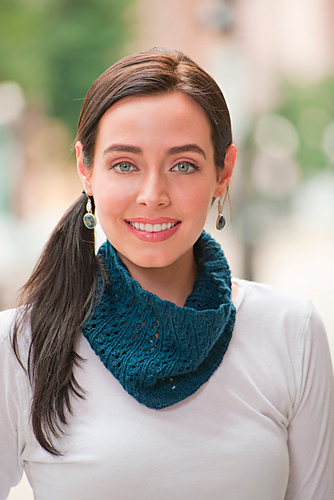 There is also a matching cowl to go along with it. And, the whole thing takes a skein of Sockalicious, so not only is it an easy project, but not too pricey! The patterns will be available on Patternfish on 8/1. 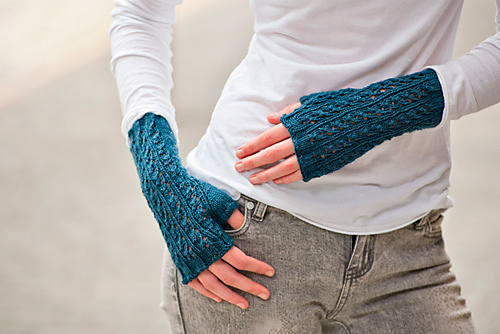 So, if you won't be at Sock Summit this weekend, you can still get your hands on the pattern! Remember, not only will I be in the Paradise Fibers booth on Saturday, but I will also be having the Knitting Like Crazy meetup outside the ballroom Saturday morning at 8:30am. Details in this blog post.